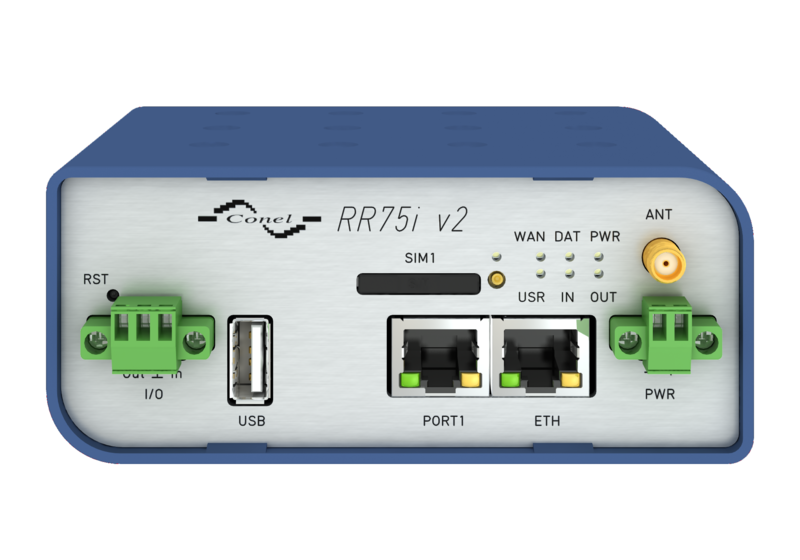 GSM-R/GPRS RR75i v2 router is used to wirelessly connect various equipment and devices via Ethernet interface 10/100 to the Internet or intranet. With a high security level and wide coverage of GSM-R technology provided by railway or mobile operators, it is mostly used in railway applications, for remote maintenance and data transfer from various devices (controllers, RTUs, meters...). 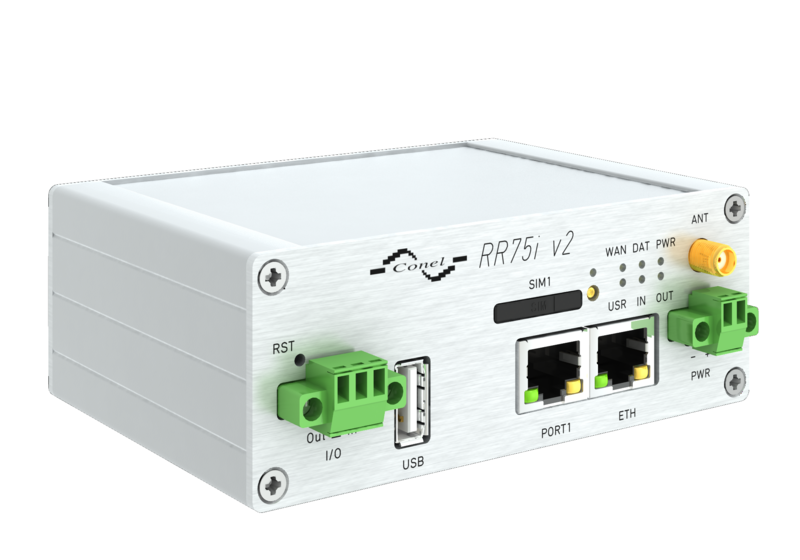 Other benefits and advantages includes high modularity and option to connect various devices via Ethernet 10/100, RS232, RS485, RS422, M-Bus or I/O. 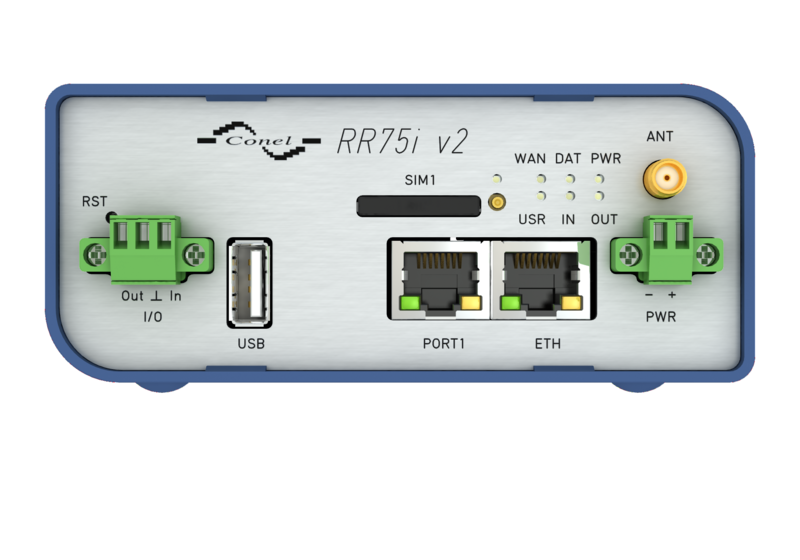 As a standard, this industrial RR75i v2 wireless router is equipped with one Ethernet 10/100, one USB Host port, one binary input/output (I/O) port and one SIM card. To save and backup communication data, a version with 2 SIM cards is available. The wide range of interface options of this wireless router further expands an optional Port1 and Port2 - selected by the customer. For example, Ethernet port 10/100, serial interface ports RS232/RS485/RS422/M-Bus or (I/O - CNT). 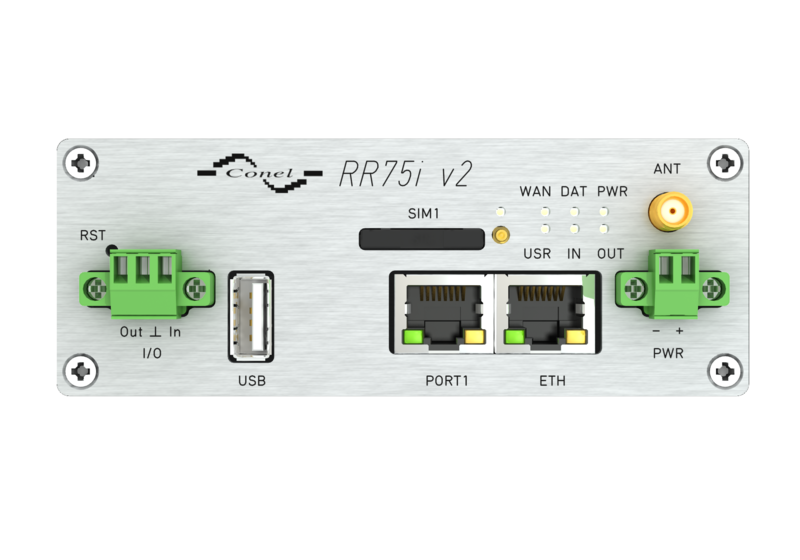 Port2 may be equipped with serial interfaces RS232/RS485/RS422/M-Bus or (I/O - CNT). The wireless router is supplied in metal casing. WiFi models are available. Configuration is done via web interface protected by password. 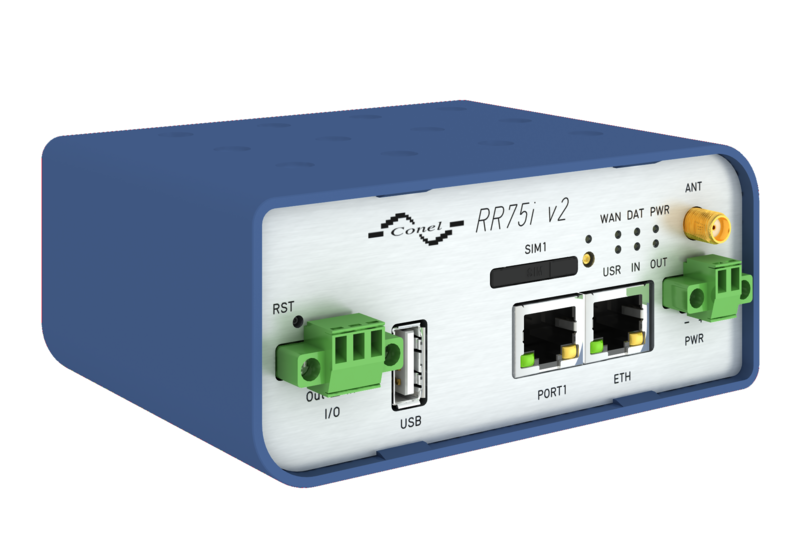 The RR75i v2 router supports creation of VPN tunnels using chnologies IPsec, OpenVPN and L2TP to ensure safe communication. Web interface provides detail statistics about the wireless router activities, signal strength, detailed log, etc. Router supports functions: DHCP, NAT, NAT-T, DynDNS, NTP, VRRP, control by SMS and many other functions. 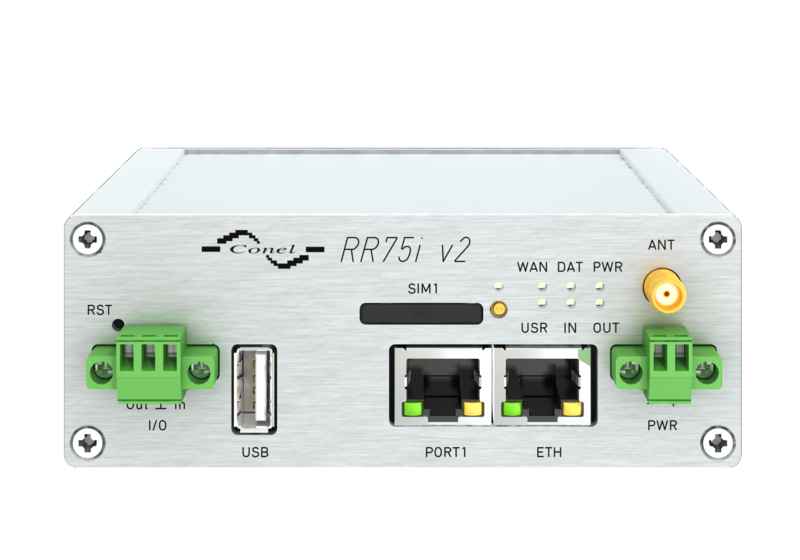 Other diagnostic functions to ensure continuous communication include automatic inspection of PPP connection offering an automatic restart feature - in case of connection losses, or hardware watchdog which monitors the status of the router. With the help of a special start up script window, you may insert Linux scripts for various actions. 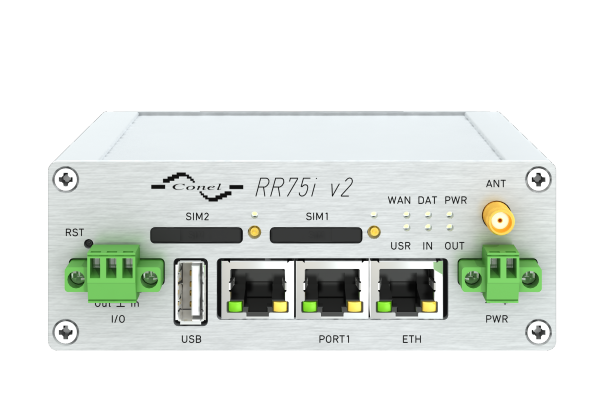 For some applications the option to create several different configurations for one wireless GPRS router, the profiles (maximum of 4), and the option to switch between them (for example via SMS, binary input status, etc.) is essential. Cellular wireless routers may automatically upgrade configuration and firmware from server. This allows mass reconfiguration of many routers in one time.